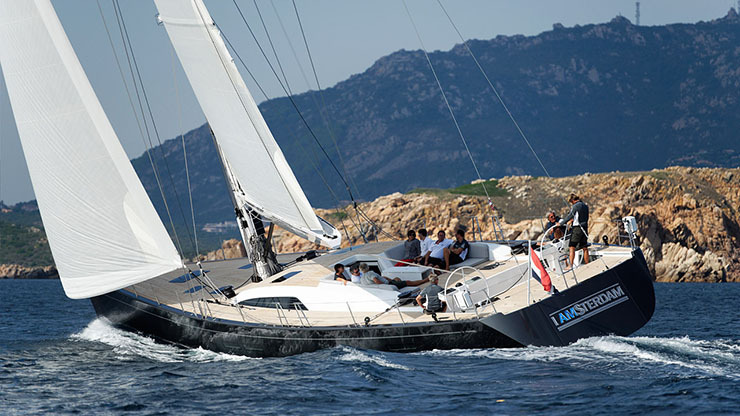 Typical of Frers' collaborations with Nautor, there is not an ugly line anywhere on this design. This hull is totally smooth, without any skegs or creases. 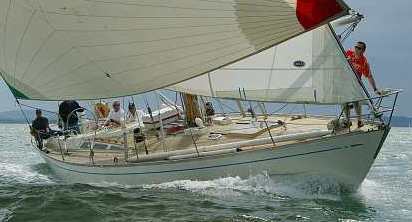 The beam has been carried aft, and the corners of the transom are tapered off as is common with Frers designs. This provides a very shapely transom. A door folds down to form a spacious swim step. 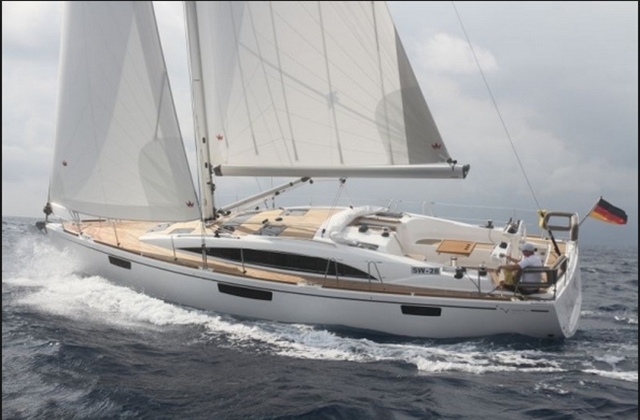 The cruiser-racer version has a D/L ratio of 174 and the regatta version has a D/L ratio of 166. The standard draft is 9 feet and the regatta version's draft is 11 feet, 1 inch. I don't think there is anything you can do to an existing boat that will improve its performance more than simply increasing draft. Draft allows the VCG to be lower, increasing stability. Note that there is a subtle difference in rudder location on the two versions. The regatta version's rudder is farther forward than that of the standard version. Both versions share the entire center section of the interior layout. 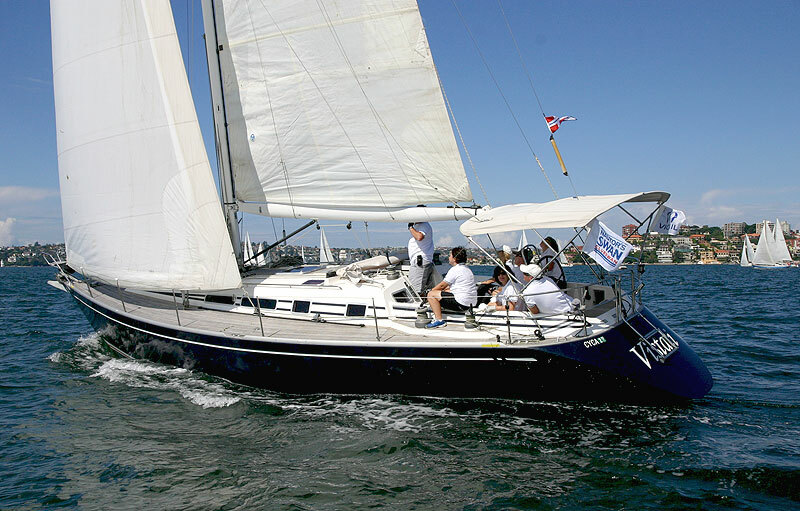 The regatta version eliminates accommodations in the ends in order to reduce weight and pitching moment. What's left of the accommodations in the middle of the boat will make a fabulous racing and cruising boat. The standard version has the owner's stateroom aft with an adjoining head, and a guest stateroom forward with another adjoining head and shower. I have been surprised at boat shows by the steepness of Nautor's companionway ladders. 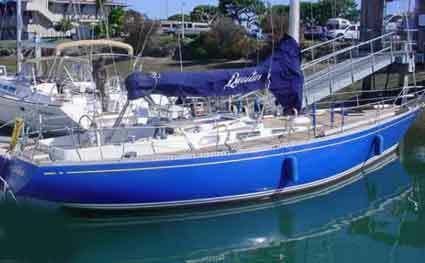 If you use the Sparkman & Stephens companionway rule devised by Rod Stephens as your criteria, both the forward and aft companionways would be suspect. Rod Stephens thought a person needed to be able to go down the companionway playing an accordion for it to be right. 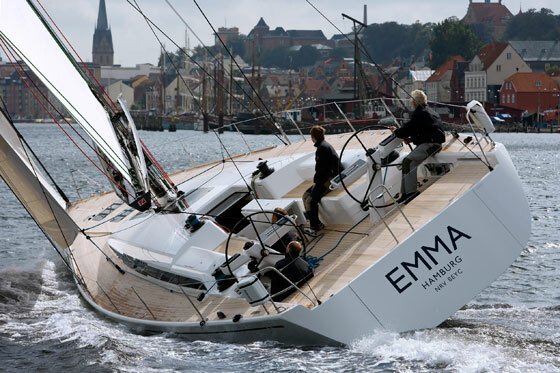 Both versions have tall rigs, but the regatta version's rig is fractional with the mast slightly farther forward and an extended E dimension. Note that the cruiser-racer version's rig has both an inner forestay and a babystay. This is not very convenient for tacking. 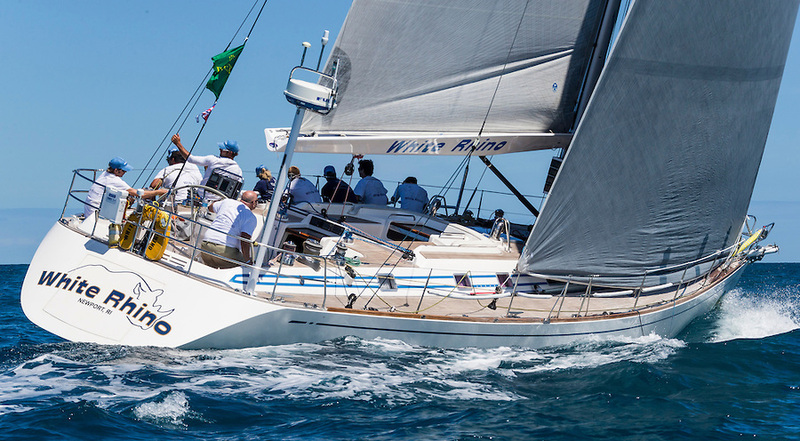 The regatta version has a prebent spar with no extra stays forward. 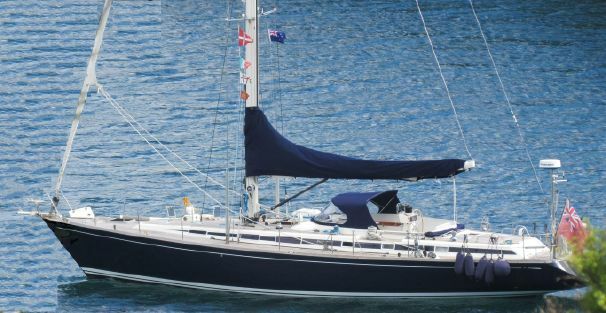 The hull of the Swan 56 is a single-skin type. That means there is no core to this hull. The hull laminate uses a Kevlar-glass hybrid fiber laminate. The deck is foam-cored and also uses a hybrid laminate. The rudder stock is a composite E-glass tube. Polyester resin is used throughout. The auxiliary is a 96-horsepower Yanmar. 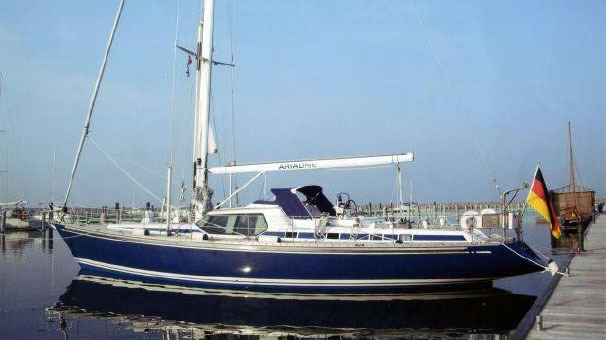 Plush offshore design for cruising or performing on the racecourse.